The planning application by the owners of the visitor attraction Chocolate: York’s Sweet Story was withdrawn last week. 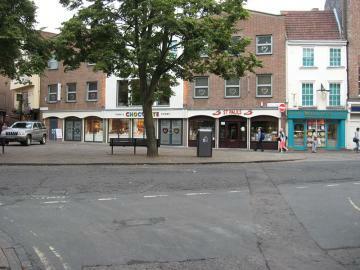 As previously mentioned, they had requested space in King’s Square for outdoor seating, a café area. A petition against this proposal collected around 5,000 signatures. Ordinary people writing letters and emails is rather dull by comparison, and doesn’t offer much potential for exciting accompanying images. But it’s just as significant, perhaps more so, in planning terms. There were around 80 written objections submitted in response to the application. It’s easier these days to get a good number of responses, as the council’s website is designed to give greater access and make the process of commenting on applications much easier. I’ve had a look at many planning applications online, and usually there are very few comments registered, sometimes, as with the stadium plans, there are thousands, but many are just one sentence and don’t attempt to argue the case on planning terms. Most have people both objecting and supporting. This one, to the best of my knowledge, had no one on the ‘Support’ side – apart from the applicants who would benefit from it. So that’s around 80 objections, and no public support at all. The objections weren’t just from street performers, but from the other businesses on the square, from ordinary members of the public, from people worried about the access along the pavement. They gave valid reasons, and were well thought-out, considered responses. You may be wondering why I’m still mentioning this, when the applicants withdrew their plans. Surely it’s not of concern now? What concerns me, what baffles me, and what I’ve spent some time chasing up, is a reference in the Press’s reporting of the story to the fact that planning officers had recommended the plans for approval, just before the withdrawal. Given the response, I couldn’t believe this was true. I’ve now established that it is true. Of course, whatever the recommendation, it would have to be put to the planning committee to decide. I don’t know enough about the workings of the system to guess what the committee’s decision would then have been. The recommendation was to allow the reduced proposal of four tables, for a trial period of a year. this link to the relevant page on the City of York Council website. The King’s Court (King’s Square) application is number 4i, the title next to it links to the relevant committee report (PDF). It includes the recommendation to approve as point 6. I hoped that reading this would enlighten, but I remain utterly and completely baffled. 5,000 signatures against, around 80 written objections, benefits only one business. Recommended for approval. 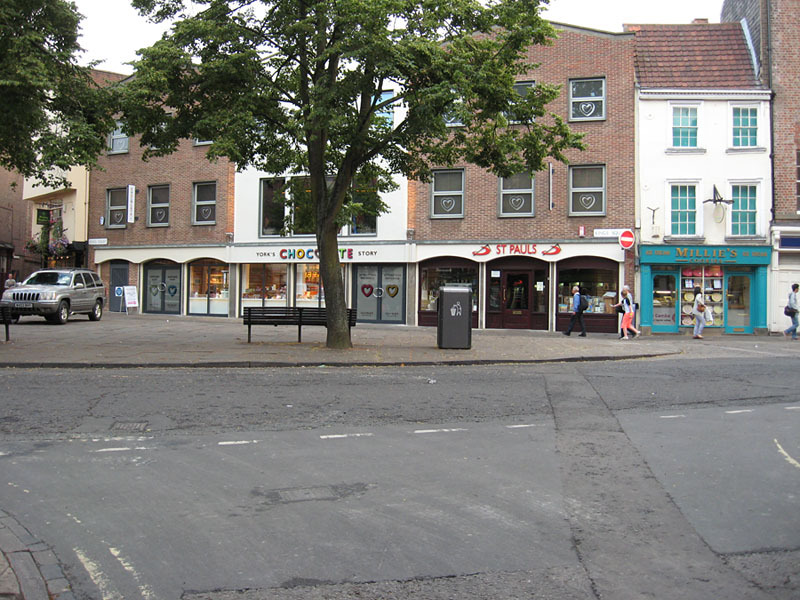 There are now plans to ‘reinvigorate’ the square entirely, so those tables will no doubt be fitted in one way or another. it has ‘character’ already. I like it, its an honest, well-used space, and doesn’t need any further ‘invigoration’. I’d like to see this space left as it is, for people to use how they want, as they have been doing for many, many years. It appears that it has to be reinvigorated to accommodate cafe tables, as that’s what the Chocolate: York’s Sweet Story attraction feels is required. And planning officers and other people of influence clearly agree. What the rest of us think doesn’t matter.